This object is currently on display in room 108 as part of Tablescapes: Designs for Dining. There is one other image of this object. See our image rights statement. This is a Two napkins. Its medium is linen. Mergentime designed napkins to coordinate with specific tablecloths. 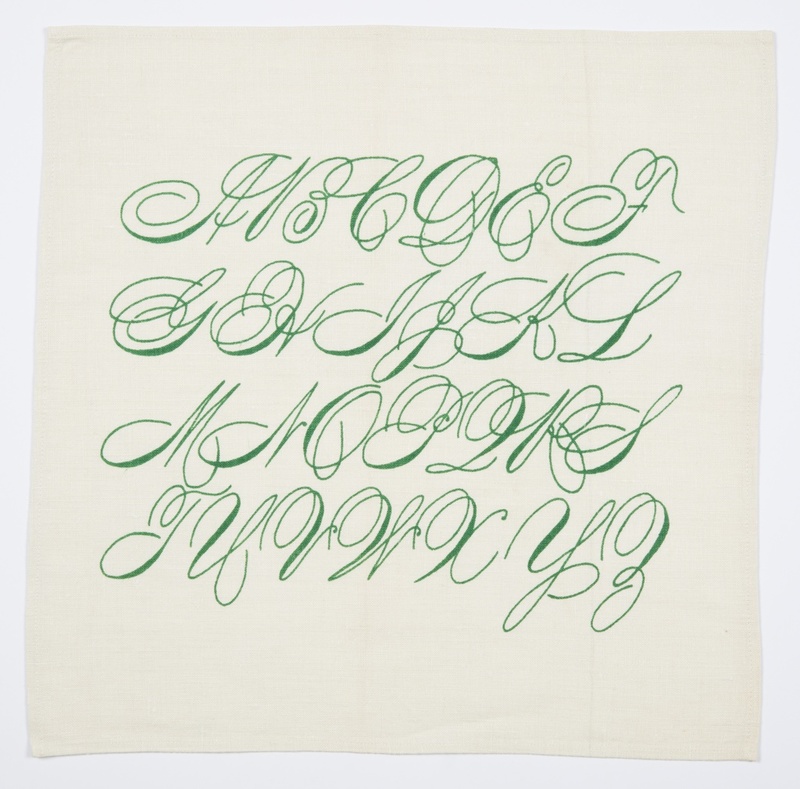 Spencerian Alphabet napkins were used with all tablecloths that referenced steel pen drawings in her Folk Art series. God Bless Our Home mat sets were taken from a Currier and Ives lithograph and had their own set of napkins.